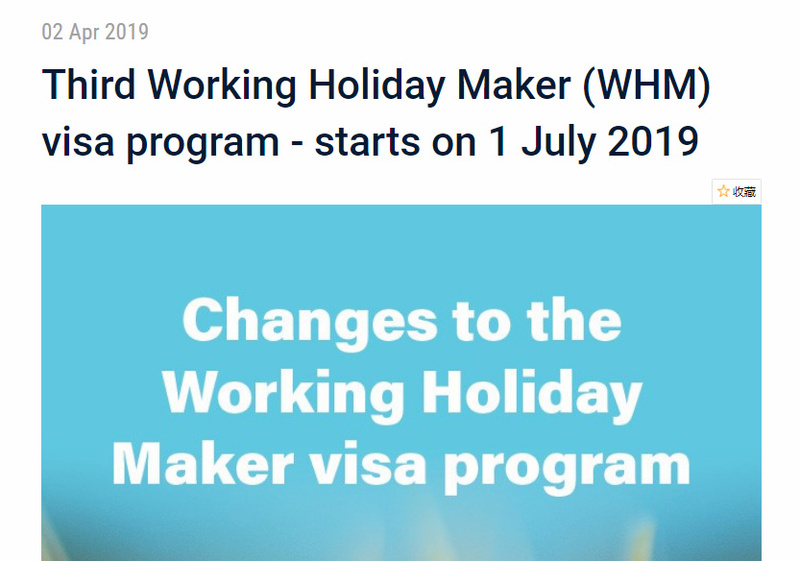 From 1 July 2019, WHM visa holders who carry out 6 months of specified work in regional areas while on their second Working Holiday (subclass 417) visa or Work and Holiday (subclass 462) visa may be eligible to apply for a third visa. Eligible types of work and regional areas will correspond with the requirements for the second visa. Note: The 6 months work must all be carried out on or after 1 July 2019, so a successful application cannot be lodged before January 2020.